Named in honor of Saint Ann, the mother of Mary, and grandmother of Jesus. Founded in 1859 by Bishop James R. Bayley, nephew of Saint Elizabeth Ann Seton and cousin to Presidents Theodore and Franklin Roosevelt. In 1861, Bishop Bayley officially received Reverend Claude Rolland and appointed him the first resident Pastor of the parish. As pastor, Father Rolland built the original Parish Church, a wooden frame building on John Street, today used as a private residence. 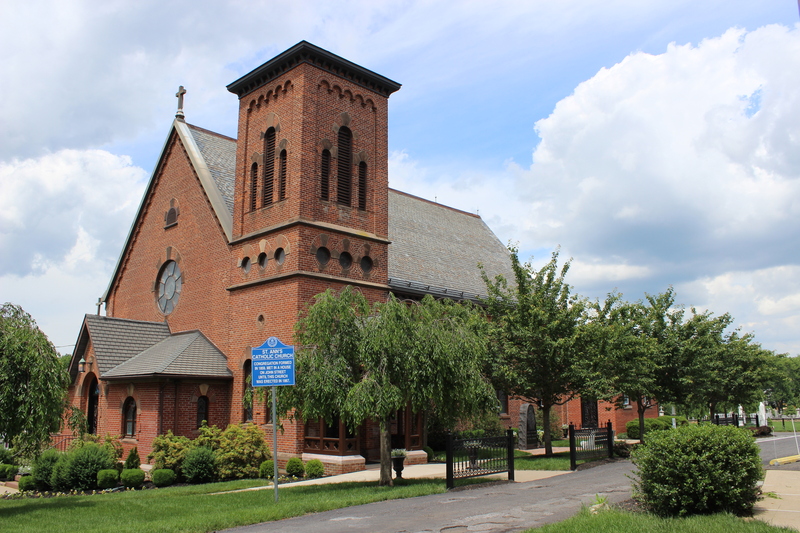 As the Parish grew, Saint Ann’s second pastor, Rev. Msgr. Patrick Leonard constructed the current church. The cornerstone was laid on July 4, 1866. It was completed the following year. For information on the Sacraments of Baptism, Matrimony, Confession, and Care of the Sick, please see the Bulletin or call the Parish Office.